Posted on May 20, 2010, in Health Care, Learning and tagged Collaboration, Doctors, Healtcare, Learning, TV. Bookmark the permalink. 7 Comments. Two big barriers…one is medical tort reform. Many doctors, when surveyed confidentially, admit to practicing ‘defensive medicine’ – ordering tests and procedures that aren’t needed to protect a doctor from the remote possibility of a lawsuit. The other barrier, in my mind, is the perception of value from patients and hospital ‘customers’. Work in this area of lean healthcare is very interesting. A big ‘paradigm’ most everyone shares when receiving medical help is; the more time invested by nurses & doctors and the more tests & procedures undertaken…the higher the value. We need to find creative solutions to this issue. I’m hoping to see more efforts from the lean healthcare folks in this area. Ideas like collaborative teams of doctors working within a system that doesn’t require constant protection against lawsuits have great potential. I am a big House fan as well. 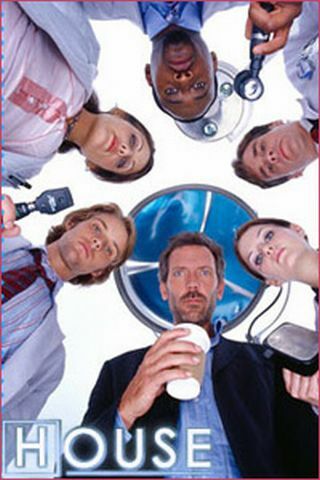 In the last episode you see a crisis situation in which everyone works togehter as you say in a team. This is often the case no matter the environment. I wonder though do you always need a crisis. Can you create just as much teamwork without it? Obviously, the goal in Lean is to create a environment or culutre where this occurs regularly. How do you get there? Do you need a crisis? Many Doctors do consider what they practice as ‘collaborative’ medicine. As with most individuals, when you present your “opinion” (in this case think medical opinion) with some data and another comes along and presents their opinion (at times contrary to yours) a certain amount of tension naturally arises. Most of the Doctor’s I have worked with do not like the fact they may be wrong, aside from the blow to the ego, it may also end up in litigation some time later. A hypothesis as to why Medical Professionals (i.e. dr’s and rn’s) act the way they do (this is my hypothesis) can typically be traced back to two sources (in my opinion). 1st Medical School they were initially taught & 2nd Residency Hospital they finished up at. I observed my hypothesis played out at a few ‘teaching’ hospitals. I would like to source the crowd on this one….how many who frequent this blog have a story related to my hypothesis? You bring up a great point about being afraid of litigation if they are wrong. So is it not only a mentality shift by doctors but also by patients. Patients have to understand that doctors are problem solvers and sometimes they are wrong. If the doctors are wrong then as patients lets work with the doctors to continue to dig for the root cause and a solution. Great observation. Litigation doesn’t cross my mind with I work with a doctor. Gives me a different perspective. I think maybe some of the lack of collaboration comes from, as Dr. Brent James describes, the 1895 split between clinical and administrative work that Johns Hopkins initiated? Great link and thanks for the additional insight regarding the 1895 split. The differentiation was probably needed at the time. What interests me is how to manage the differentiation so it doesn’t inhibit the patient care. Hopefully more Healthcare/Hospitals are taking the Thedacare/Viginia Mason approach.